Although the congestion charging in the capital is restricting driving, there are still millions of motorists in the capital. Public transport links by tube and bus are convenient, but they can’t get you out of London, so if you need cheap petrol stations in London, where can they be found? Londoners can choose from any brand of petrol. London is home to the largest collection of petrol stations in any UK city, some are small independent sellers, others represent the major companies, but if you’re looking for cheap petrol stations in London, you should check the forecourt prices of the local supermarkets. Supermarket price wars extend beyond the aisles to the petrol stations accompanying some of the retailer’s larger stores. Whether you choose ASDA, Tesco, Morrison or Sainsbury’s, you can expect a good price. Deals attached to spending a set amount in store can also cut the price of petrol, and being a Club Card member with Tesco or a Nectar card holder at Sainsbury’s, can also cut the cost of refilling. A lot of the independent stations that survive in the capital do so because of their location. If they are conveniently located they could charge more than other retailers. If you would like to locate your local independent petrol station, directory.independent.co.uk offers a detailed directory of petrol stations that shows if the petrol station is independent of a brand. 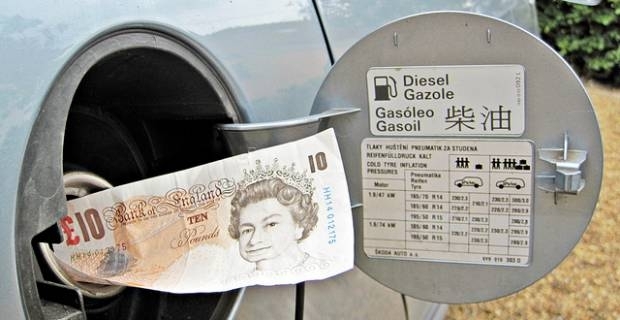 This is the main problem that motorists have with refilling, so Londoners will be happy to know that they pay the same amount per litre as the UK’s average. Since petrol prices exceeded £1 a litre, websites like petrolprices.com and locallife.co.uk have started to offer a list of the cheapest petrol stations. Although finding cheap petrol stations in London involves a bit of forward planning if you’re going to take advantage of a supermarket deal, apps for iPhone like Petrolprices Pro and Whatgas Pro for Android phones, can be downloaded to put the location of the capitals cheapest filling stations within easy reach.